I love shoes. No matter where I am on the scale they always fit me. 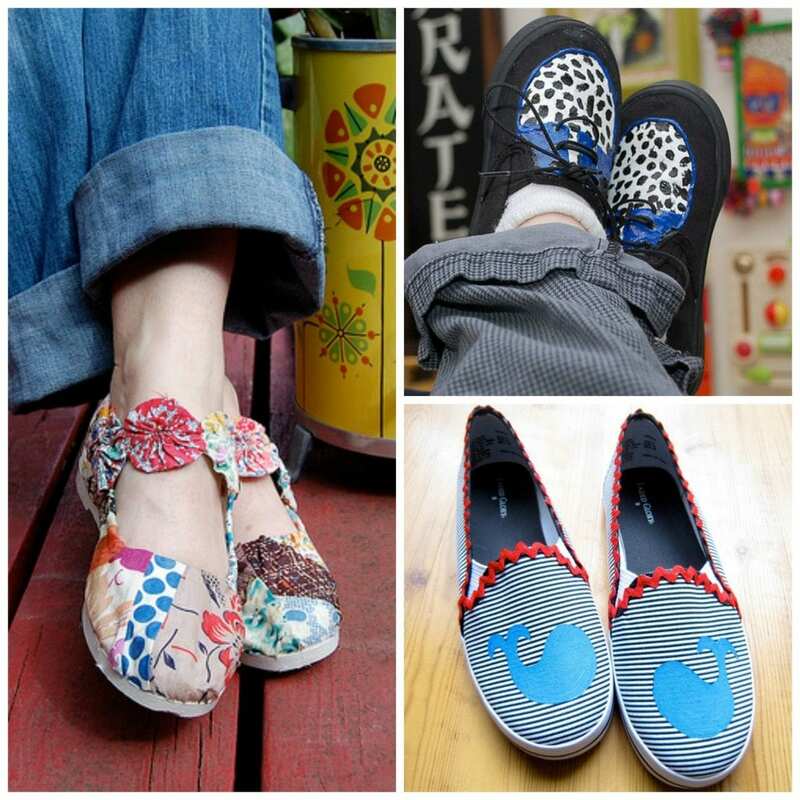 These are a few of my favorite DIY shoes you can make yourself. I have done a lot of DIY shoe projects in my day, but these scrap fabric Mary Jane’s may be my favorite. Speaking of Mary Jane’s check out this pair with a classic silhouette on the toe. It is easy to have a whale of a good time with these simple slip-ons. You can even customize your shoelaces, add glitter and maybe a heart or two. check out these Chucks. I adore these cute creepers I made for my son. Last, but not least (or pictured) are a pair of felt baby booties I made for Tallulah before she was born. Easy, cute and they are still sitting on a shelf in her room. Posted June 18, 2014 & filed under Crafts, Wearable Crafts.